Welcome to the Ropley Village Appraisal pages. The appraisal was published in early 2000 as a printed document and has been reformatted here for web display. Please use the links in the left-hand frame to navigate the chapters. All photographs are linked to higher-resolution versions which will display in a separate window when clicked. 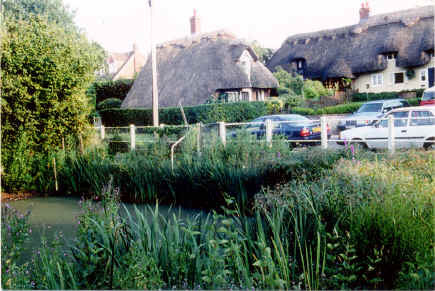 The intention of producing "Ropley at the Millennium" was to take a snapshot of the village as we went into the new millennium. These pages reflect the spirit of that snapshot and the content will not be updated (other than to correct errors and possibly improve usability) as changes occur in the village. If you wish, it is possible to download the entire document (5.7MB) as an Adobe Acrobat file by clicking on this link.